Increasing organic runoff as a result of climate change may be reducing the penetration of pathogen-killing ultraviolet (UV) sunlight in inland lakes, rivers, and coastal waters, according to a new study in the journal Scientific Reports. The findings, from a team including researchers at Rensselaer Polytechnic Institute, points to the potential for an increase in waterborne pathogens. Scientists have already measured an increase in "browning" of the world's waters, a phenomenon caused by more organic matter washing in from the surrounding land. The new study, led by Miami University in Ohio, analyzed water samples and used a model based at the National Center for Atmospheric Research (NCAR) to quantify, for the first time, the impact of dissolved organic matter on the potential for UV radiation from the sun to kill pathogens in the water. Not only does an increase in dissolved organic matter make it more difficult for sunlight to disinfect bodies of water, it also makes it more difficult for water treatment plants to work effectively, said lead author Craig Williamson, a Miami University ecologist. In the United States, 12 to 19 million people already become ill from waterborne pathogens annually. Kevin Rose, the Frederic R. Kolleck '52 Career Development Chair in Freshwater Ecology at Rensselaer, gathered much of the data on dissolved organic matter in water samples to assess the potential of UV radiation to kill pathogens. "Water clarity is dropping in many regions due to factors such as browning, and this research demonstrates that this change is likely decreasing natural disinfection of potentially harmful pathogens," said Rose. 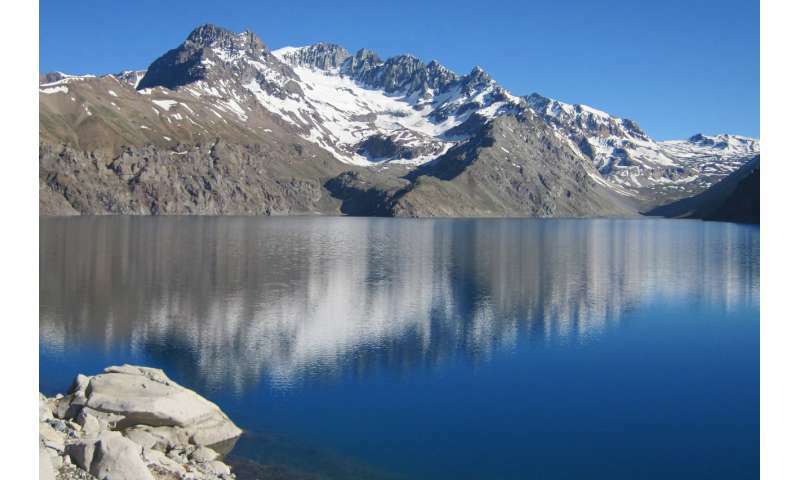 The team used samples of water from lakes around the world, from Pennsylvania and Wisconsin, to Chile and New Zealand. Tests determined the amount of dissolved organic matter contained in each sample, and the wavelengths of light—including ultraviolet wavelengths—absorbed by that organic matter. Using the Tropospheric Ultraviolet-Visible model—which simulates how UV light is scattered and absorbed as it passes through Earth's atmosphere—researchers determined how much UV light hits the surface of the lakes throughout the year. Researchers also analyzed reflection and refraction off each lake's surface to calculate how much light penetrates the lakes and then, finally, how deeply it reaches. The Tropospheric Ultraviolet-Visible model also calculates the expected disinfecting power of UV light in a particular body of water based on its dissolved organic matter and other characteristics, a measurement known as "solar inactivation potential (SIP)." In some cases, researchers calculated the SIP across different parts of, or for different time periods in, the same lake. The results allowed scientists to quantify the impacts of dissolved organic matter. For example, the summertime SIP for one lake in northeastern Pennsylvania—which, along with other regional lakes has undergone significant browning in recent decades—dropped by about half between 1994 and 2015. In California's Lake Tahoe, the SIP in the relatively pristine center of the lake can be as much as 10 times greater than at Tahoe Meeks Bay, an area at lake's edge that is heavily used by humans and has a much higher level of dissolved organic matter. The scientists also showed how SIP can dramatically decrease after a heavy rainfall event using water samples collected from the region where the Manitowoc River flows into Lake Michigan, which supplies drinking water to more than 10 million people. Modeling based on samples taken before and after a strong storm moved through on June 21, 2011, showed that the SIP may have dropped by as much as 22 percent due to the extra dissolved organic matter that washed into the area in this single storm event. One would think the reverse would happen. You know that warming is not caused by the sun becoming hotter, right? Why would the reverse happen? As this article makes clear, this is mostly the result of extra organic runoff due to increased rainfall.